Lockleys North Primary School has a reputation for being a preferred school in the local area. 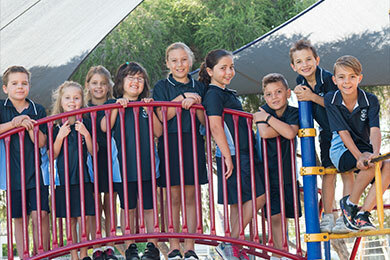 This reputation comes from the school’s focus on community-mindedness, our vision for pursuit of excellence in all areas of learning across R-7, and our consistent approach to ensuring learner wellbeing is a strong foundation for learner achievement. Students come from a wide variety of socio-economic and cultural backgrounds. The school provides a safe and orderly learning environment where expectations of staff, students and parents are made explicit. Staff work collaboratively and their team work is supported by focused professional learning opportunities. The school is implementing a 21st Century Learning program with emphasis on the development of international technology standards, an inquiry learning approach across the curriculum, and assessment for learning as an integral part of the teaching program. The school implements the ‘You Can Do It’ program from Reception to Year 7. Please refer to the Site Learning Plan for additional information about school improvement priorities. 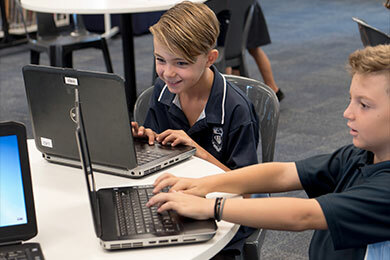 All students have access to Interactive Whiteboards, desktop computers, wireless laptop and net book computers. LCD TVs are used as digital display devices in classrooms and soon in the new library. Specialist programs are offered in science, physical education, music, German and Greek. Teachers and SSOs with expertise in Special Education, early intervention, learning support and ESL programs support classroom teachers to address the individual learning needs of students achieving below benchmark standards. Parents are supportive of the school’s directions. The governing council, committees, class parents and sports managers support the school vision and are involved in the development and implementation of school programs that support the achievement of this vision. There is an emphasis in the school on using classrooms and other facilities as flexible learning spaces. All members of the school community are proud of the well maintained facilities, grounds and amenities.